Almost as long as there have been gifts to charity, there have been donor-imposed restrictions that either fail or become outdated in some other way. The reasons for this are many: advances in medical science, evolution in social mores, changes in the law or economic theory, severe financial hardship in an organization or a community, and so forth. In the future, it is possible that technological breakthroughs, climate change, terrorism, political upheaval, and other developments will create changed circumstances that few today would imagine. If a donor is able and willing to consent to changes in a gift restriction in order to address these developments, no legal issue is presented. This was the topic of the March 2013 issue of Professional Notes. But when the donor has died or is a corporation that has gone out of business, or if the donor refuses to agree to a change, a legal remedy is usually needed in order to deal with an outdated restriction. Lawyers typically learn in a law school trusts & estates class about the doctrine of cy pres, sometimes called the “doctrine of changed circumstances,” and that is certainly a good place to start the conversation. But cy pres, fashioned centuries ago by courts of equity to deal with the administration of charitable trusts, has several notable offspring, starting with the closely related doctrine of equitable deviation. Those two ancient doctrines are generally codified today as part of trust law—in New York, for example, in the Estates, Powers and Trusts Law (EPTL). Nonprofit corporations are typically subject to a similar but slightly different set of cy pres and equitable deviation rules. In New York, those rules are contained in the Not-for-Profit Corporation Law (NPCL). The next issue of Professional Notes will consider how a community foundation—with its “variance power” to address changed circumstances—provides an efficient and flexible alternative to cy pres and equitable deviation when literal compliance with a gift restriction is no longer possible or desirable. The term cy pres is shorthand for the Norman French phrase “cy pres comme possible,” which in English means “as near as possible.” The roots of the doctrine of cy pres are found in cases in England from the Middle Ages, and cy pres cases became relatively numerous after the dissolution of the monasteries under King Henry VIII and the accompanying need to find new purposes for hundreds of charitable trusts (“chantries”) whose original charitable purpose (the saying of certain Roman Catholic masses) had become illegal in Reformation England.1The classic cy pres analysis involved both a finding that the donor had a general intent (beyond the specific charitable purpose that had become illegal or, in some cases, impossible to fulfill) and the identification of an alternative purpose that would, “as nearly as possible,” effectuate the failed charitable purpose. Evolution of the Standard. In a classic 20th century formulation of the cy pres doctrine, legal scholars recognized a shift away from earlier attempts to replicate a donor’s intentions “as nearly as possible” and framed the rule simply with reference to finding another purpose that was within the donor’s “more general charitable intent”: “If property is given in trust to be applied to a particular charitable purpose, and it is or becomes impossible or impracticable or illegal to carry out the particular purpose, and if the settlor manifested a more general intention to devote the property to charitable purposes, then the trust will not fail but the court will direct the application of the property to some charitable purpose which falls within the more general charitable intent of the settlor.”2 Hence, the term cy pres has become something of a misnomer today; the literal meaning of the original Norman French phrase (“as near as possible”) is not in fact the standard a modern court would apply when fashioning a so-called cy pres remedy. Further developments have occurred in this century, with the recognition that there is a new category of circumstances in which cy pres relief should be available: those situations in which continued adherence to a donor restriction would be wasteful.3 It is important to note, however, that state law codifications of cy pres do not necessarily follow the uniform laws or restatements. New York, for example, has adopted a wastefulness standard for cy pres and equitable deviation under the NPCL, but not under the EPTL. The “wastefulness” standard awaits significant case law. It will be of interest to see whether courts apply an economic or efficiency analysis (e.g., reasoning that a restriction may be modified for wastefulness simply because adherence to it is no longer an economically efficient allocation of limited resources) or apply a more objective analysis grounded in donor intent (e.g., reasoning that a restriction may be modified for wastefulness only if the assets have appreciated dramatically since the gift was made and only to the extent that the appreciation exceeds the amount that could reasonably be applied for the original purpose). Equitable deviation is closely related to cy pres. It is the doctrine fashioned by courts of equity to deal with administrative or procedural restrictions imposed by a donor, rather than restrictions on charitable purpose. Broadly speaking, a court may apply equitable deviation where compliance with an administrative provision of a trust is “impossible or illegal” or when, as a result of circumstances not known to the donor or anticipated by him, compliance would “defeat or substantially impair the accomplishment of the purpose of the trust.”8 Unlike cy pres, equitable deviation does not require a finding of the donor’s general charitable intent. Equitable deviation is most often used to modify or remove restrictions that a donor placed on the sale or investment of donated property. Distinguishing between equitable deviation and cy pres is not always easy, because in many cases, the restriction can be characterized both as purpose-related and administrative. In 1992, a Pennsylvania court applied the doctrine of equitable deviation as the basis for approving a release from certain restrictions on the loan of artwork by the Barnes Foundation. The court found that the restrictions disallowing the lending and removal of paintings from the premises of the Barnes were administrative only, and therefore the doctrine of equitable deviation could be applied to lift them.9 Critics questioned whether the restrictions were merely administrative: Were the restrictions instead integral to the donor’s charitable purpose in establishing the Barnes as an educational institution capable of fulfilling its educational mission through the enduring availability of its art collection? The grounds for cy pres relief are generally viewed to be more stringent than the grounds for equitable deviation, so a court’s willingness to treat a donor’s restriction as administrative is almost always helpful to an organization that is seeking judicial relief due to changed circumstances. One hallmark of the doctrines of cy pres and equitable deviation is that (with the exception of a recent innovation for “small, old funds,”10 discussed below and in the March 2013 issue) these doctrines are of no effect without a court proceeding and judicial action. However, it may be possible in some cases for an organization and its legal counsel to arrive at a construction of the terms of a charitable gift that allows flexibility without need of going to court. For example, if the terms of a bequest say that it is to endow “a soup kitchen” in a particular city, and the fund grows to such an extent that it will support multiple soup kitchens in that city, it may be possible, without need of a cy pres or equitable deviation proceeding, to interpret the bequest to permit multiple soup kitchens. However, it probably would not be possible to interpret such a gift to cover the funding of soup kitchens outside the specified city or the funding of a homeless shelter. Like many states, New York has codified a dual system for the doctrines of cy pres and equitable deviation, one under trust law and one under the nonprofit corporate law. The systems are similar but different. EPTL Section 8-1.1(c) governs cy pres and equitable deviation for New York charitable trusts as well as those circumstances when relief from donor-imposed restrictions is not available to a not-for-profit corporation under the NPCL. EPTL Section 8-1.1(c) empowers a court to remove or modify a restriction on a charitable gift “whenever it appears to the court that circumstances have so changed since the execution of an instrument making a disposition for [charitable] purposes as to render impracticable or impossible a literal compliance with the terms of such disposition.” The court, on application of the trustee, may direct that “such disposition be administered and applied in such manner as in the judgment of the court will most effectively accomplish … [the] general purposes” of the disposition.11 If a donor is living, a New York court must obtain the donor’s consent before modifying or removing the restriction. Notably, EPTL Section 8-1.1(c) is written broadly enough to encompass petitions both for a change in the charitable purpose of a fund (cy pres) and a change in the requirements concerning its administration (equitable deviation). It does not mention illegality as a predicate for relief, although illegality is arguably subsumed within the concepts of impossibility and impracticability. Under prior law (prior NPCL Section 522), the board of a donee organization could release a donor’s restriction on the use or investment of a charitable gift without going to court, provided the donor consented in writing to the release.15 This type of relief was limited to lifting restrictions; it could not be used to make modifications or to substitute different restrictions. If the donor was deceased or otherwise unavailable, the donee organization could petition the court to release a restriction, if the restriction had become “obsolete, inappropriate or impracticable” and with the proviso that neither a donor nor a court could grant a release under the NPCL that would convert an endowment fund into a non-endowment fund.16 To accomplish such conversion to a non-endowment fund, it was necessary to commence a cy pres proceeding under the EPTL.17 The Section 522 standard for judicial relief (“obsolete, inappropriate or impracticable”) was less stringent than the classic cy pres standard under the EPTL, and Section 522 authorized only the release of restrictions under this standard but not their modification. 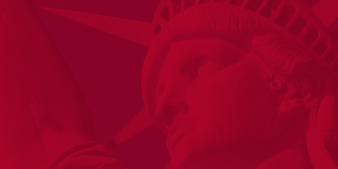 Under NYPMIFA (NPCL Section 555), as explained in the prior issue of Professional Notes, a New York not-for-profit corporation may obtain either the release or modification of gift restrictions with the donor’s consent.18Even though prior law classed all restricted gifts together and applied one unified standard to all of them, the new law draws a distinction between cy pres and equitable deviation. Finally, NYPMIFA “does not limit the application of the doctrine of cy pres.”22 This provision, a holdover from prior law23 that does not appear in the Uniform Prudent Management of Institutional Funds Act, enables courts to apply EPTL Section 8-1.1(c) to a donor-restricted fund held by a not-for-profit corporation. In the past, the NPCL expressly prohibited the use of its provisions for the purpose of converting an endowment fund into a non-endowment fund, which made it necessary to invoke EPTL Section 8-1.1(c) for this purpose. Invocation of the EPTL was also needed in order to seek a modification rather than a mere release of a restriction. But resort to the EPTL for either purpose now seems needless. First, NYPMIFA itself authorizes the modification of a donor-imposed restriction (not merely its release, as under prior law). Second, under NYPMIFA’s rules for endowment spending, the old “floor” on endowment spending (i.e., “historic dollar value”) has generally been removed in favor of a rule permitting any appropriation from an endowment fund that is “prudent,” which effectively gives nonprofit boards, rather than courts, the burden of deciding whether an endowment fund may be spent down or borrowed against. (Arguably, therefore, NYPMIFA has obviated the need to invoke any form of cy pres in order to spend down an endowment fund.) Finally, NYPMIFA does not carry forward the old prohibition against using the NPCL to convert an endowment fund to a non-endowment fund. In other words, in cases where an endowment fund may not be spent below historic dollar value, due either to express limitations in the gift instrument or a donor’s veto of converting an endowment fund to a NYPMIFA spending standard, NYPMIFA itself (not the EPTL) appears to be the appropriate vehicle for seeking judicial permission to spend (or borrow) below the original dollar value. The doctrines of cy pres and equitable deviation have been the centerpiece of hundreds of legal cases, and the costs are typically borne by the charitable fund whose terms have become outmoded. See, e.g. N-PCL Section 513(b) (allowing restricted funds to be used for the “payment of the reasonable and proper expenses” of their own administration). If the fund’s purposes are unlawful, wasteful, or impossible to achieve, years of delay in charitable spending and substantial legal bills may ensue while a charity endures the process of securing the necessary approvals from regulators and the courts. As with any litigation, there are risks: that the court will deny the requested relief, that it will exercise its discretion and give relief that is unclear or unhelpful, or that it will condition its ruling on elaborate fact-finding (as happened in the latest iteration of the various Barnes Foundation cases mentioned above). And there may be cases where a well-considered modernization of terms cannot be effected, simply because of the comparatively narrow circumstances in which a court is empowered to grant cy pres or deviation relief. Perhaps a charitable purpose has not become “unlawful, impracticable, impossible to achieve, or wasteful,” but instead has become undesirable or impractical. In that case, charity would be stuck with the original restrictions, however unwise they may have become, simply because cy pres cannot be invoked. For a donor concerned about the impact of changing circumstances, one alternative is a community foundation such as The New York Community Trust. By law, community foundations must possess a non-judicial “variance power” over their restricted funds. The next issue of Professional Notes will consider how the variance power is a useful tool for a donor who desires to create a perpetual restricted fund, but also wants to permit flexibility and avoid the need for costly judicial proceedings under the venerable—and some would say antiquated—doctrines of cy pres and equitable deviation. By John Sare of Patterson Belknap Webb & Tyler LLP, with thanks to Lauren Simpson. 1 See generally Jones, History of the Law of Charity, 1532-1827 (1986). 2 Restatement (2d) of Trusts, Section 399 (1959) (emphasis added). 3 Restatement (3d) of Trusts, Section 67 (2003); Unif. Trust Code Section 413(a). See also In re Estate of Buck, No. 23259 (Cal. Super. Ct. Marin County, Aug. 15, 1986). 4 See In re Matter of Kraetzer, 119 Misc. 2d 436 (Surr. Ct. Kings Co. 1983). 5 See Coffee v. William Marsh Rice University, 408 S.W.2d 269 (Tex. Civ. App. 1966). 6 See Matter of Tauber, 33 Misc.3d 1224A (Surr. Ct. Nassau Co. 2011). 7 See In re Estate of Othmer, 710 N.Y.S.2d 848 (Surr. Ct. N.Y. Co. 2000). 8 Restatement (2d) of Trusts, Section 381 (1959). 9 See In re Barnes Foundation, Slip. Op. No. 58,788 (Pa. C.P. Ct. Montgomery Co. 1992). See also In re Barnes Foundation, 683 A.2d 894 (Pa. Super. 1996) and In re Barnes Foundation, 2004 Pa. Dist. & Cnty. Dec. LEXIS 344 (2004). 10 See Uniform Prudent Management of Institutional Funds Act (2006), Commentary, Section 6(d) (available at www.upmifa.org) (using the term “small, old funds”). 12 See Professional Notes, March, July and October 2011. 13 See NPCL Section 551(e). 15 See prior NPCL Section 522(a). 16 See prior NPCL Section 522(b). 17 See prior NPCL Section 522(d). 18 See NPCL Section 555(a).